With the departure of the British Army and Naval personnel many merchants, small factory and business owners also disappeared together with the wives and families. Now was the start of a bitter/sweet period for the Islanders. The “open port” policy under the British had attracted much international trade that the Islanders relied on. This suddenly stopped except for those on friendly terms with France. Imports and exports stagnated. Leading, initially to much unemployment and great hardship for the average person. The British had been very tolerant of all religions but the Roman Catholic Cathedral and its associated churches were down at the west. Around the Mahón area most of the Churches had become Protestant. Also, with freedom from the restraints which had been imposed some 40 years earlier by Governor Kane, the Catholic Church started to wield its power once more. There was also an attempt to re-impose the Inquisition on the people. Much of the upper ramparts of St Felipe were badly destroyed during the heavy artillery bombardment by the French during the siege, and there was very little in the way of accommodation for the French troops although a few of the houses in the Arraval (shanty town or Philips Town as the British had called it) that had grown up adjacent to the fort were used to house some of the troops. It must be remembered that Georgetown (Es Castell) did not yet exist. 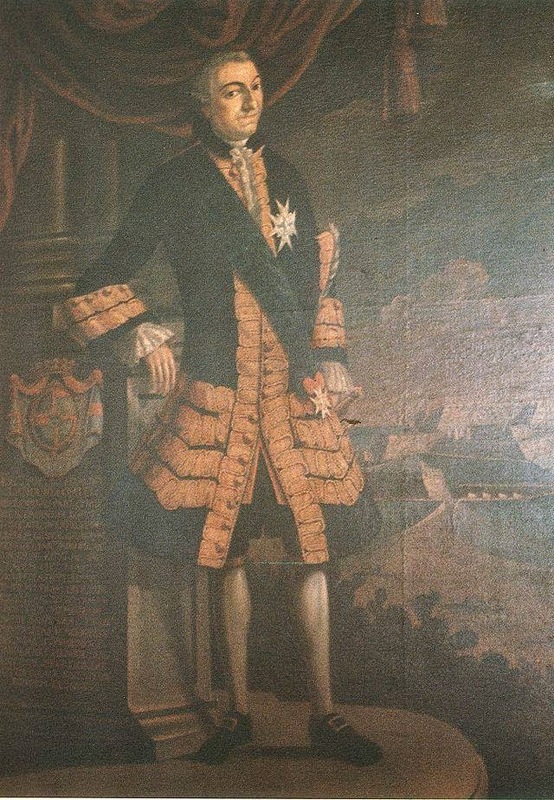 It was the Count de Lannion who instigated the building of Sant LLuis in 1761. Firstly it was designed as a garrison town for the French troops but secondly because the French were Catholic and he wished that a Church of that denomination be built in that town. Although the Lannion´s actual family name was Saint Lluis he actually dedicated the Church and named the town after King Lluis IX who had earlier been canonised by the Pope. However by coincidence King Lluis XV was actually on the throne at this time. He placed much emphasis on the intellectual development of the Island, Arts & music prevailed. But it was also expected that the population adopt the French language of which they were opposed and some French words are still used in the local Menorquin language of today. 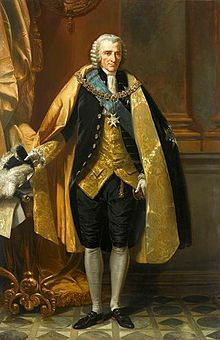 It is purported that Mahonese (Mayonnaise) was created for the official Victory Banquet by the Duke de Richelieuʹs chef. On finding a lack of cream on the Island ,for his “Victory Sauce” he invented an egg and oil dressing and called it Mahonese after the town of Mahón. But did he learn the recipe from the Menorquian favourite Aioli, just omitting the garlic? The jury is still out as to whether it was invented by the French or the Spanish. Much of the ancient heritage in the areas surrounding the fortress of San Felipe was destroyed by the French troops. However this would not appear significantly important until the 20th. century. Many of the ancient Bronze Age walls in the triangle between Cala Alcufar, Mahón and St Philips fort were demolished to enable the gun carriages to pass and take up positions. The very large Talaiot at Trebaluger (originally part of the prehistoric village of Trepuco) was reduced to a third of its height to make into an emplacement for artillery pieces and, apparently, the command post from where the Duke de Richelieu and his Generals could direct operations. It afforded an uninterrupted view over St Philips Fort and the harbour entrance. From here he could also direct his forces by semaphore who had set up artillery on the other side of the harbour on La Mola. After Great Britain´s victory over France and Spain the signing of the Treaty of Paris on the 10th of February 1763 between France, Spain, Britain and with Portugal in agreement formally ended what became known as the Seven Years War. It also marked the beginning of an era of British dominance outside of Europe. In the treaty most territories gained by each country were restored to their original owners. But Britain was in a strong position with France having to cede Canada, and all its territories in North America including French Louisiana to Britain and several important islands in the Caribbean, with Spain also ceding Florida to Great Britain.. But of course, for the essence of this story France was also forced tp peacefully hand Menorca back into British rule. Chapter 6—“The Union Flag Flies Once More on Menorca” -- continues next.